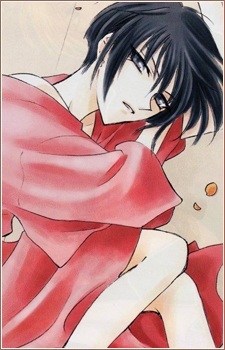 Akito is the head of the Sohma clan and very frail. He often runs fevers and rarely walks out of the main house other than to greet some of the Zodiac members, such as Yuki and Shigure, that live in the outside world. Akito has a definite mean streak, and has physically and emotionally scarred many members of the Sohma family, but Akito's rule in the Sohma clan is absolute, and none dare oppose him. A possible part of Akito's curse was that he would only live to be thirty. At a certain point in the Zodiac's life, Akito wishes to force them to live within the Sohma compound with him for the rest of their lives in a never-ending "banquet." He even describes himself as the "Master of their (the Zodiac) Souls." He has a deep hatred of Kyo Sohma, the Cat, whom he believes should be isolated for the rest of his life. He hates Tohru most of all, since everyone seems to love and protect her. The manga eventually reveals that Akito is female, which is where much of her anger for Tohru originates. The anime version of Akito is male. Akito is voiced by Minagawa Junko in “Fruits Basket: The Last Story” commemorative voice comic.